In order to effectively implement MISSION and maintain program fidelity, model-specific treatment manuals and consumer workbooks have been created. Each treatment manual is a comprehensive how-to guide for case managers, peer support specialists, and program administrators. They provides detailed information about the clinical application and implementation of MISSION. Correspondingly, each consumer workbook contains exercises and readings that assist MISSION participants in achieving their recovery goals. In addition to these resources, model-specific practical guides for case managers and peer support specialists have been developed, which contain condensed material from each of the three treatment manuals. The original MISSION treatment approach provides case management, peer support, integrated mental health and substance use treatment, and vocational support to homeless clients with co-occurring psychiatric and substance use disorders (CODs). These manuals and workbooks, now in their second edition, are best suited to individuals who are working to obtain stable housing and employment, while addressing their co-occurring disorders. The participant workbook has been translated for Spanish-speaking consumers. MISSION-Vet includes the same core components as the original MISSION treatment approach, but it also incorporates additional trauma-informed care procedures to meet the needs of military veterans struggling with co-occurring disorders and homelessness. 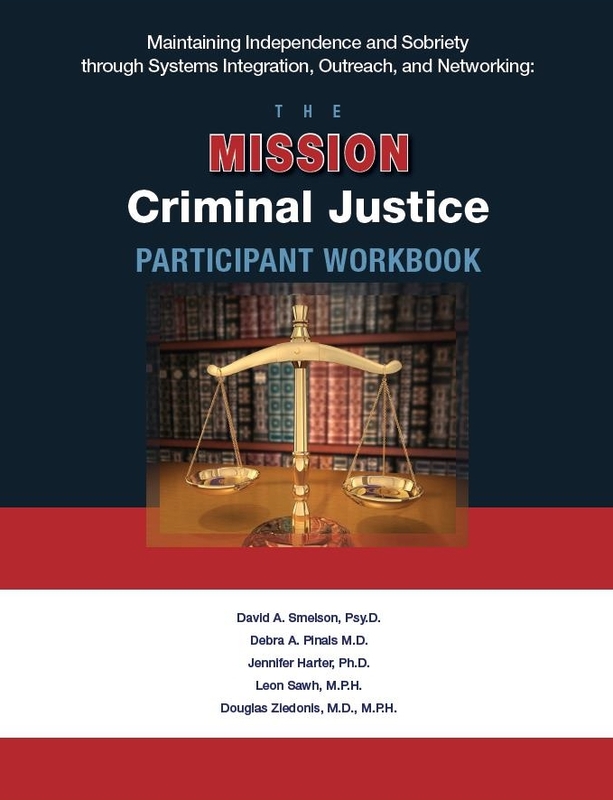 MISSION-Criminal Justice (MISSION-CJ) modifies the prior MISSION treatment approaches by incorporating the risk-need-responsivity (RNR) paradigm to facilitate treatment. RNR enables providers to examine and address the specific criminogenic needs of their clients. The goal of MISSION-CJ is to provide effective COD treatment, establish linkages with community health providers and support systems, and ultimately reduce recidivism among participants identified through the criminal justice system. 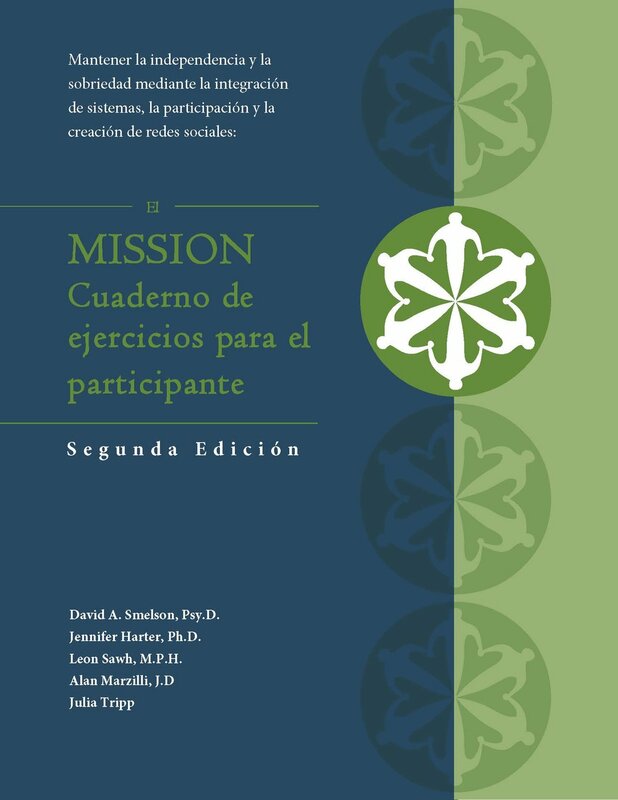 The workbook for MISSION-CJ has been translated for Spanish-speaking consumers.